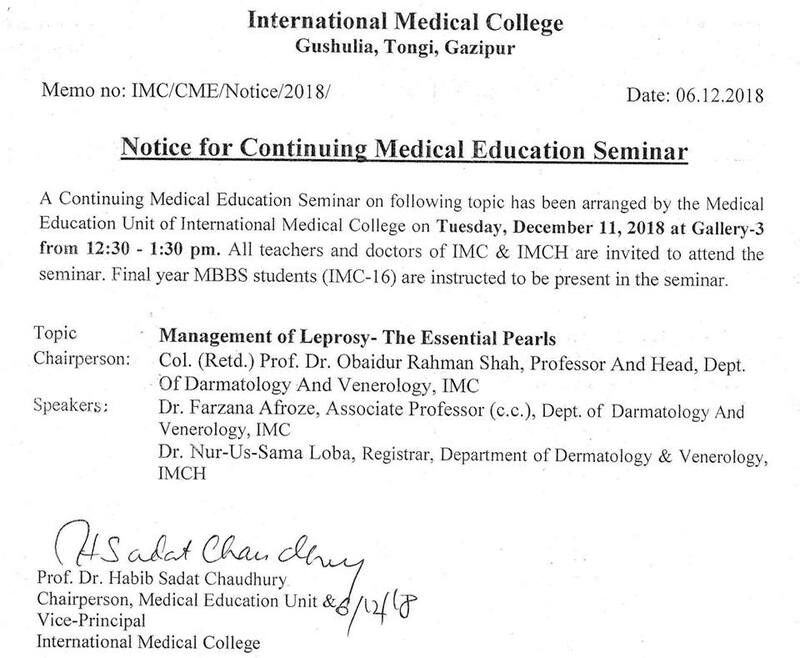 A Continuing Medical Education Seminar on following topic has been arranged by the Medical Education Unit of International Medical College on Tuesday, December 11, 2018 at Gallery-3 from 12:30 - 1:30 pm. All teachers and doctors of IMC & IMCH are invited to attend the seminar. Final year MBBS students (IMC-|6) are instructed to be present in the seminar.